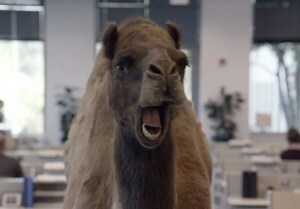 Mike, Mike, Mike, Mike, Mike…What day is it, Mike? On one hand, it’s nice to see some of these things again…many of them family treasures (Grandma’s china, Dad’s toy car) or souvenirs of our respective and collective pasts (the hubby’s tennis medals, my high school yearbooks, our Lions Club awards) that we were either afraid to move because of their fragility or reluctant to take because they would not fit comfortably in a Japanese-sized house. But on the other hand I have to think, “If we forgot about these things in the five years they were out of sight, how important are they really? Do we truly need them?” Of course, I know the answers. But it’s so hard to take sentimentality out of the equation. We’ll see what happens in the coming days–the math could get significantly easier with the next delivery. The stuff we actually humped around the world from the States to Japan to England and back again (to which, ahem, we might have added one or two things in our travels) arrives tomorrow, and there’s twice (three times??) as much of that as there was in storage. Sentimentality may finally be trumped by frustration practicality as we try to find a place for everything. It is very unfortunate timing that the community wide yard sale is planned for this Saturday…if it were being held a week later, I would probably be out there selling off the excess. I wonder if Goodwill makes house calls? Posted by dreaminofobx on September 11, 2013 in How It Is, True Life, What's She On About? The Salvation Army and the Lymphoma Society makes house calls in my neck of the woods. Thanks for the tip…I will keep them in mind! This might be a case of the one with the biggest truck wins! It’s the lower level of a split-level, so not technically a hide-the-junk basement, but it is catching a lot of overflow nonetheless!